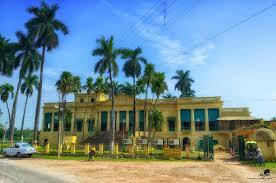 Murshidabad is the name of a town and district in West Bengal. It was once the capital of Bangla, Bihar and Odisha. The last capital city of independent Bengal was named after Nawab Murshid Quli Khan, the Dewan of Bengal, Bihar and Odisha. It is situated on the banks of the Bhagirathi. A city of splendors and famous for its silk, it was made capital of Bengal in 1717. The British shifted the capital to Kolkata in 1773. 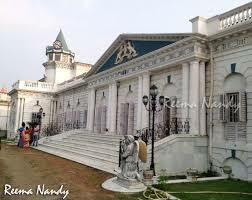 Hazar Duari Palace --- A palace of 1000 doors - real and fake. The palace was constructed by Duncan Macleod in 1837 on the orders of Nawab Nazim Humayun Jah at the site of the old fort known as Nizamat Quila. It has a typicaI European style of architecture. This has now been converted into a museum. 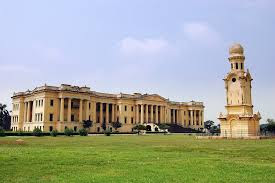 The Hazarduari Palace Museum is regarded as the biggest site museum of Archaeological Survey of India and has got 20 displayed galleries containing 4742 antiquities out of which 1034 has been displayed for the public. 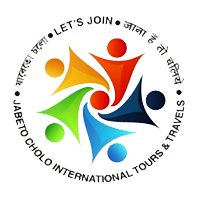 The antiquities include various weapons, oil paintings of Dutch, French and Italian artists, marble statues, metal objects, porcelain and stucco statues, farmans, rare books, old maps, manuscripts, land revenue records and palanquins mostly belonging to eighteenth and nineteenth centuries. There is a Clock Tower between Hazarduari and Imambara. It was built by Sagar Mistri, assistant of Duncan Macleod. At the top of he tower is a big heavy sounding bell. Located between Hazarduri and Imambara is the Bachchawali Topp. The barrel is 11'6" long, with a girth in the middle of 7'9. Made between 12th and 14th centuries, it weighs 7657 kg. Look out for brass inlay lines and designs on the cannon. Bara Imambara --- The imambara is a congregation hall for Shia commemoration ceremonies, especially those associated with the remembrance of Muharram. It is situated just opposite the palace. Both are on the banks of the river Bhagirathi. It was built in 1847 by Nawab Nazim Mansoor Ali Khan Feradun Jah, at the site of the old wooden imambara built earlier by Siraj-ud-daulah and damaged by fire. The present Imambara is 680 feet long. It is divided into three large quadrangles: the central quadrangle has the Madina Mosque and the Memberdalan; the eastern quadrangle has the Nowbat Khana; the western quadrangle has a two-storied mosque. 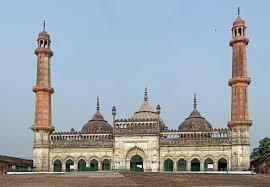 The old Madina Mosque built by Siraj-ud-daulah is in front of the Imambara. A new Madina Mosque was built as a part of the Imambara. 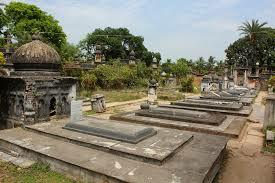 Jafarganj Cemetery --- About half a mile from the Hazarduari Palace is Jafarganj the ruined palace of Mir Jafar. The Cemetery contains the tombs of the Nawab's Nazim, from Mir Jafar to Humayun Jah. Mir Jafar's father Syud Ahmed Nazafi, Alivardi Khan's sister, Shahkhanum, Mir Jafar's widows, Munni Begam and Babbu Begam, Mohamed Ali Khan, the brother and Ismail Ali Khan and Asraf Ali Khan, the sons-in-law of Mir Jafar, lie buried here. This cemetery was built by Mir Jafar, over an area of 3.51 acres. Khosbag --- Cemetery of Alivardi Khan, his grandson Siraj-ud-daulah and other members of the family. Katra Masjid --- Built by Nawab Murshid Quli Khan in 1723 AD. It is damaged but well maintained. The main mosque had five domes, out of which two collapsed in the earthquake of 1897. Many of the buildings in and around the mosque also collapsed during the earthquake. 2000 people could offer prayers in the mosque at the same time. The Topekhana was to the south-east of the Katra Masjid. There still is a huge cannon names Jahan Kosha. It is reputed to have been brought from Dhaka when Mushid Quli Khan shifted his capital. The ruins of Fouti Masjid, believed to have been built in a day, are to the west of Katra Masjid. Moti jheel --- This beautiful horseshoe shaped lake was excavated by Nawazesh Mohammad, the husband of the famous Ghasseti Begum. 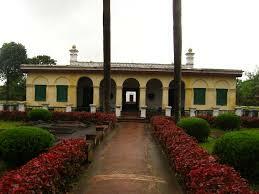 In the palace adjoining it Lord Clive celebrated the acquisition of the Dewani of Sube Bangla in 1765. Moti Jheel was the home of Warren Hastings when he became the Political President at the Durbar of the Nawab Nazim. Sir John Shore, afterwards Lord Teinmouth, also lived here. Moti Jheel is also known as the "Company Bagh", due to the fact of it having been in the occupation of the East India Company. The only old building existing is the Mosque of Shahamat Jang. 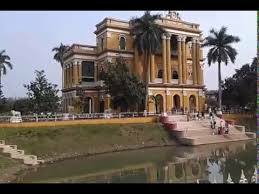 Nasipur Palace --- The palace was built by King Kirtichand Bahadur in late 19th century. Within the palace compound are temples: the Ramachandra temple and the Lakshmi-Narayana temple. Closely situated is the Ashram of Mohandas and Jafraganj Deuri. 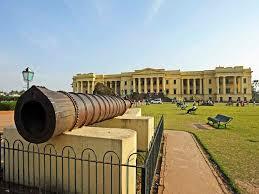 The two cannons present here are said to be gifted to Mir Jafar by Clive. Kathgola --- The palace garden of Raja Dhanpat Singh Dugar and Lakshmipat Singh Dugar and their famous Adinath Temple were built in 1873, by Harreck Chand. The walls of this temple are also intricately designed. A typically Jain style of ornamentation lends a unique beauty to this Jain temple. 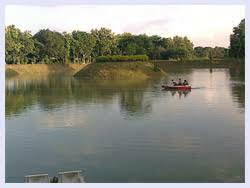 It is about half a km South-East of Mahimapur. 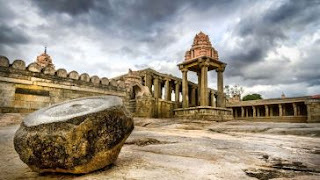 Though some of its glory has been lost, it still remains a major tourist attraction, chiefly because of the beautiful temple with an admirable work of stucco. Cossimbazar Rajbari --- A well-maintained 19th century Rajbari. 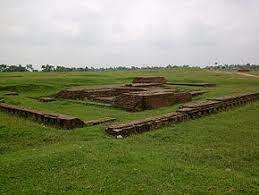 Karnasubarna --- The remains of the 7th century King Shasanka's capital editprotected by Archeological Survey of India. Trains are available from Khagraghat Railway station to Karnasubarna.